Thanks for visiting our website. We'd love to hear from you if you have any questions or comments please call or send us a message! 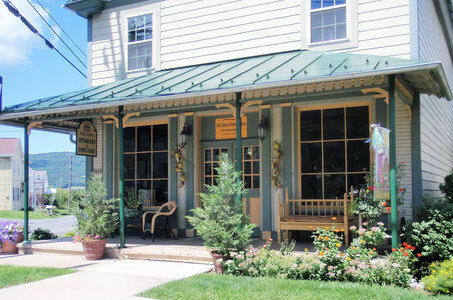 Our charming restored circa 1853 general store & neighboring Greenwood house now comprise three comfortable private guest units and a spacious event center. Located in the heart of rural, scenic 'Big Valley' with an extensive Amish community, you may visit: wineries, antique stores & farmers markets. Enjoy adjacent state parks & thousands of acres of state forest with; cool mountain lake swimming, extensive hiking, fishing streams and amazing mountain biking trails. Only a 35 minute drive to State College!